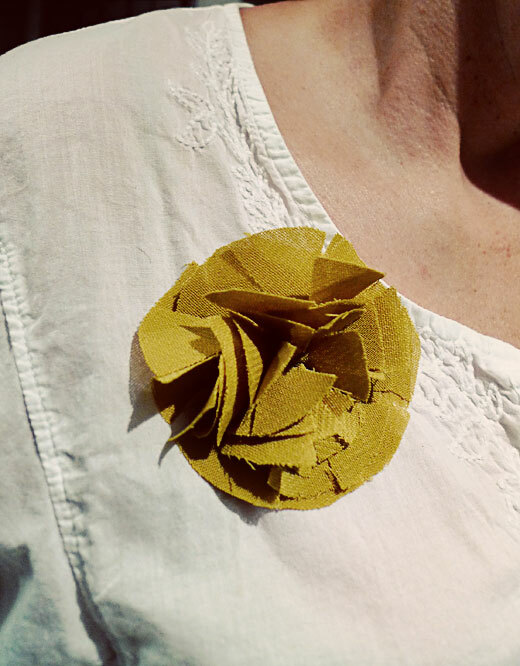 If you have ten minutes and a scrap of material, you can make a fabric flower. This is the same technique I used to make the white flowers for this chair. 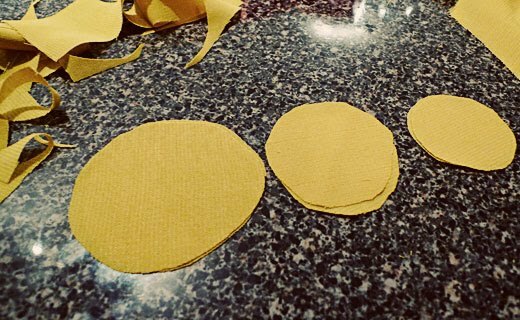 Cut 6 circles of fabric: 2 large, 2 medium, 2 small. Stack the like sizes together. 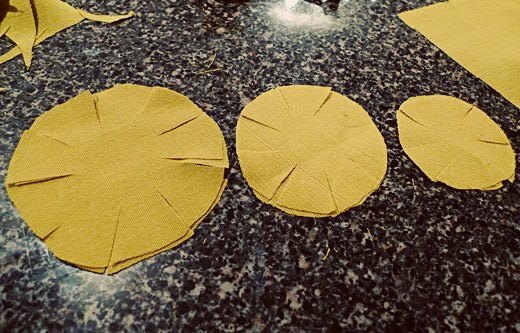 Cut slices into the circles, leaving the middle intact. This will give it the floppy petal look. If you want yours to be un-floppy, you can leave them uncut. I rotate my circles so that none of the cut lines match up to make them more organic and haphazard looking. Stack your sets of circles from largest to smallest. 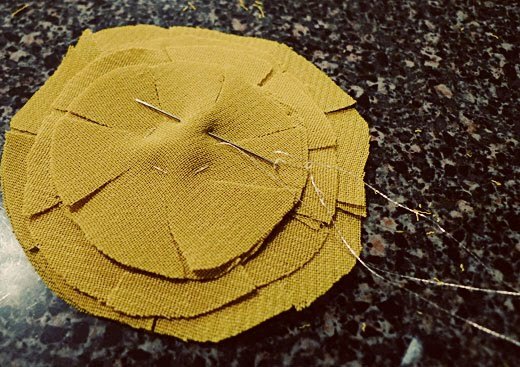 With a needle and thread, sew a gathering stitch in small circle. End the circle with your needle on the bottom. Pull gently and firmly to gather. 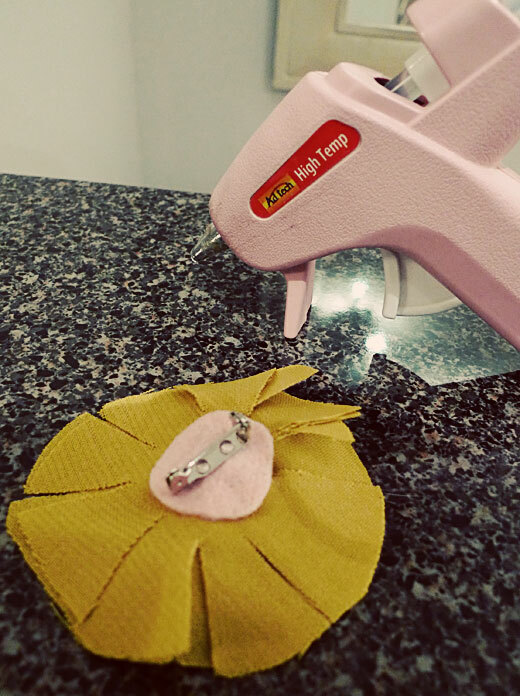 Sew through the base a few times to secure, finish off. I decided to make mine into a pin, so I hot-glued a small felt circle on the back and attached a bar pin. All done! 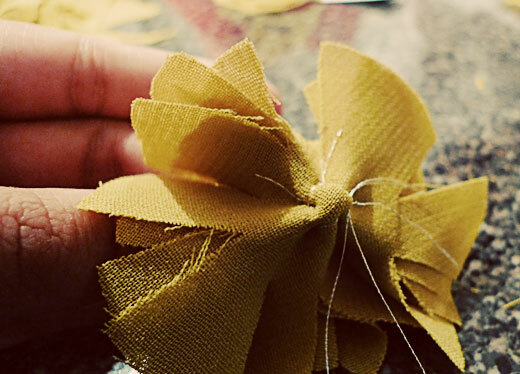 You could sew these on a pillow, a shirt, a headband... anything! If you're using several together, make them in varying sizes to add interest. 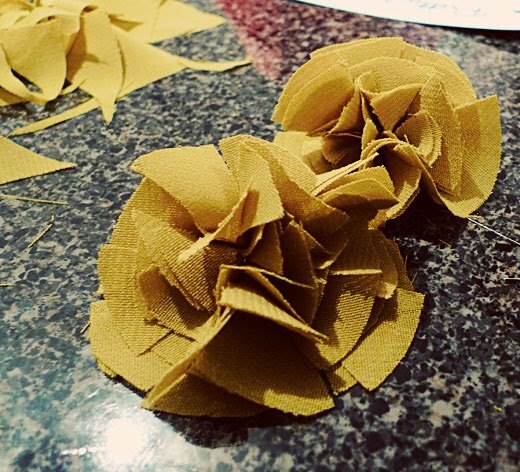 Here is one that my sister Julia, the queen of fabric flowers, made for me. 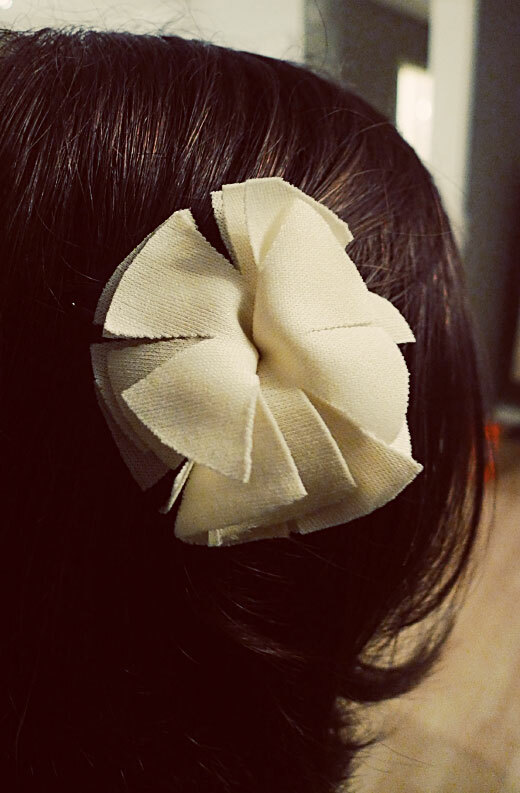 She attached it to a hair clip with hot glue. I wear it all the time. Want to know who my lovely dark-haired model is? I'll give you a hint: he has a beard, like to draw monsters, and does not typically wear flowers in his hair. Yes, my husband is a dear. I LOVE THESE!!!! So cute. Thanks for sharing! I think this would be super cute enlarged on a small pillow... I have a little brown pillow that my daughter kind of distroyed... She kept picking at the flowers on the front, so now it looks pretty bad. But it's ok, because this flower would be WAY cuter.